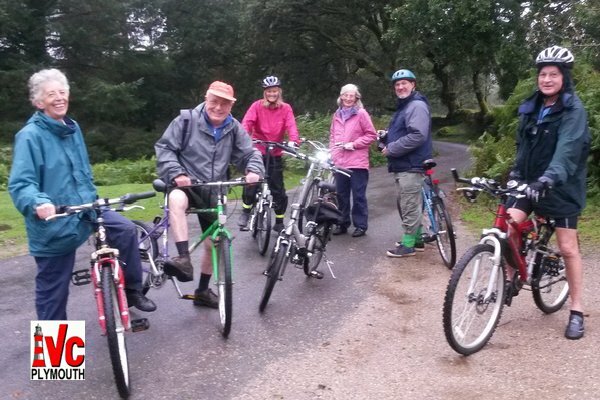 We have a regular cycling programme that started with two circuits around Burrator reservoir. Despite some brief showers; John R, Gill, Patrick, Liz, Miggy, Terry, Gerald & Richard had a very enjoyable afternoon cycling as a group around the 3.8 mile perimeter road (see photograph below). Each cycle ride is different and usually starts with an optional meal in a local pub near the start of the ride. If you are interested in joining the club this would be an excellent way of finding out about us! Copyright © 2019 Plymouth IVC. Powered by WordPress. Theme: Spacious by ThemeGrill.